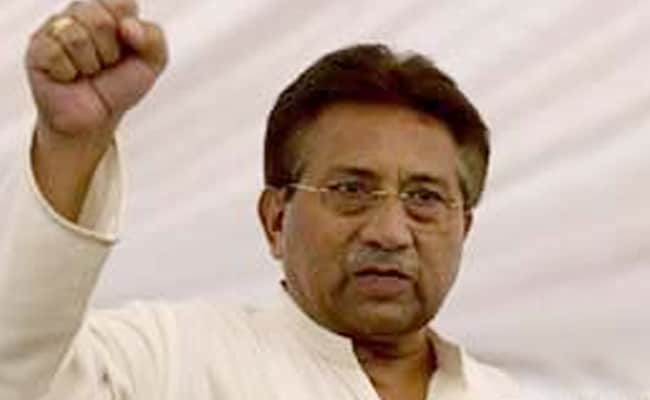 Two major partners of the alliance - the Pakistan Awami Tehrik and the Majlis Wahdat-e-Muslimeen - denied being part of the coalition headed by Pervez Musharraf, The News reported. Islamabad: In a setback to Pakistan's former dictator Pervez Musharraf, several parties have dissociated themselves from his Awami Ittehad alliance only a day after he announced the formation of a "grand alliance" of 23 parties. Two major partners of the alliance - the Pakistan Awami Tehrik and the Majlis Wahdat-e-Muslimeen - denied being part of the coalition headed by Mr Musharraf, The News reported. Addressing media persons through video conferencing from Dubai on Friday, the 74-year-old former president had said all parties representing the Muhajir community should be united. Mr Musharraf, himself a Muhajir, had left Pakistan for Dubai in March last year after the interior ministry issued a notification to remove his name from the exit control list. Muhajirs are Urdu-speaking people who migrated from India during the partition. The grand alliance named Pakistan Awami Ittehad is headed by Mr Musharraf, while Iqbal Dar has been appointed as Secretary General. The Pakistan Awami Tehrik distanced from the alliance yesterday. Soon afterwards, Majlis Wahdat-e-Muslimeen (MWM) also denied being part of the alliance. "Neither anyone has consulted us over an alliance nor any of our leaders attended meetings of any political or electoral alliance," the paper quoted the MWM sources as saying. Sunni Ittehad Council Chairman Sahibzada Hamid Raza also clarified that his party's alliance with Awami Ittehad is not meant for the election. He said the election politics will be done from the platform of grand alliance of Ahl-e-Sunnat parties i.e. 'Nizam-e-Mustafa Muttahida Mahaz'. Mr Musharraf thanked the alliance for appointing him as the chairman and announced that he would return to Pakistan soon, adding that he did not want any security when he does since the country's situation is better now. The ex-army chief is facing a slew of court cases after returning from five years of self-exile in Dubai to contest the general elections in 2013 which he lost. Mr Musharraf, who came to power in a bloodless coup in 1999, claimed that he was ready to face all charges as the courts are not under "Nawaz Sharif's control anymore".